OMAHA, Neb. 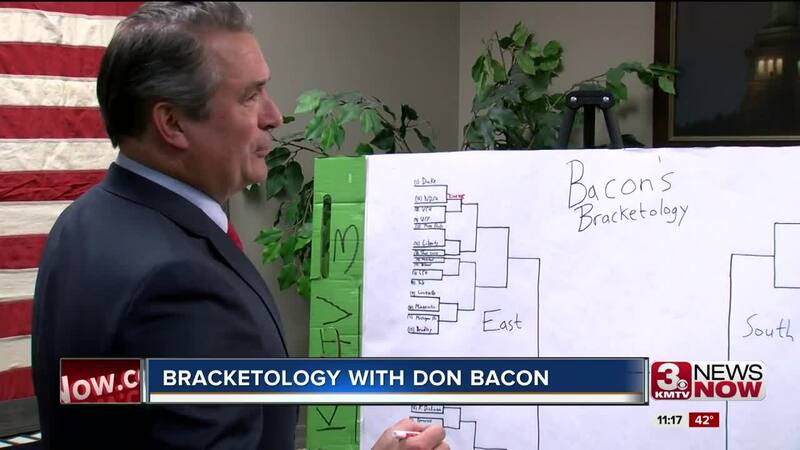 — Reporter Phil Bergman sat down with Congressman Don Bacon (R-Nebraska, District 2) to go over his bracket for this year's NCAA Tournament. Watch the above video to see some of Rep. Bacon's picks. Watch here for his complete bracket of picks for the 2019 tourney.